There are lots of little hidden secrets for great shopping in Culver City. Really cool and eclectic shops so that you never need to leave the area. I do have a favorite gift shop and I buy so much at Lundeen's. This is my favorite store for gifts for everyone. The owner has the most exquisite taste. The prices are phenomenal. Gorgeous cards, books, candles, scrumptious jewelry, kids toys and books, unusual gifts and housewares. I love their jewelry selection - it ranges from fun inexpensive costume jewelry to truly elegant and special pieces. The vibe is really friendly and cool. It's nestled between fabulous restaurants in the heart of downtown Culver City next to Starbucks and across from City Hall. I know buy everything for my family and friends here and they always love their gifts. We have two Super Targets in Culver City. One is in a lovely strip mall at the Jefferson & Sepulveda next to Bed, Bath & Beyond. The other is in the newly made over Westfield Culver City Mall. It's fabulous and filled with a phenomenal JC Penney (hello hidden secret), Macy's, Coach, Best Buy, Old Navy, Stride Rite, H&M, a monster Forever 21 and a gorgeous food court with an asian leaning slant plus many more great shops. It's right off the 90 freeway. Living Green is a gorgeous store next to the post office on Culver Blvd for the chic environmentalist that sell "products for a healthier lifestyle." They do custom made organic decor for your home or garden as well as having a huge array of furniture and accessories to buy. One of my favorite aspects of Culver City is our tuesday farmers market in the afternoon from 2 to 7 pm. Fabulous music, unique hand made gifts and jewelry, french and local cheese specialists, a fish monger, an organic beef stall, fresh flowers and plants as well as organic fruits and vegetable vendors grown locally in perfect condition. All feels right with the world when I wander around the farmers market. You run into friends and feel grateful to live in ever enchanting southern California. Surfas is a cooks mecca. 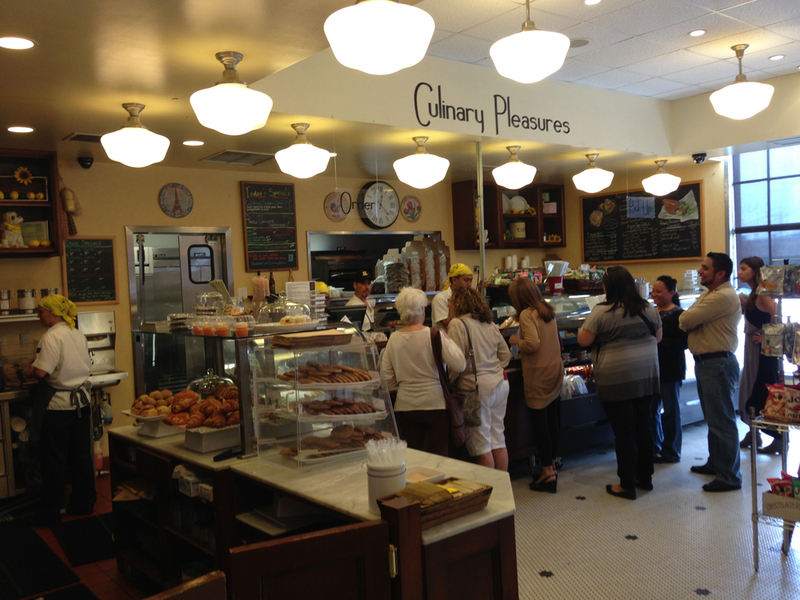 It is a restaurant supply and gourmet food store that anyone and everyone covets. Located at the corner of National and Washington, it is housed in a beautiful sunny warehouse. First you come across the lovely outdoor patio which is next to the fantastic cafe. Some of the best and most creative sandwiches in town are made there and there baked goods are fabulous. Hello Cannelles...in varying flavors! Then you enter the sliding glass doors into mecca where, to your left, is an astounding cheese counter with a really friendly and knowledgable staff. You will peruse the aisles for ages finding delicious goodies from foreign lands, pots and pans of all shapes and sizes, huge assortments of chocolates, cake making supplies and anything needed for the gourmand in you. We have some great grocery stores. Pavillions on Jefferson right before Sepulveda is a gorgous grocery store. Very friendly with a huge variety and really fresh produce. There is also a Starbucks, Jamba Juice and a Panda Express within the store. It is next to Rite Aid (recently redone and really nice), Kids/Babies R Us, Pier One, TJ Max and a great kids clothing store, Carters. The Ralphs on Overland at Jefferson has been redone and is very bright, clean and friendly. There selection is also really good. The closest Whole Foods is in Venice or up on Barrington, but we have a fabulous Sprouts Market. It's a cross between Trader Joe's and Whole Foods. The prices are great, the selection exciting - their fresh cut bacon is a must buy - and they have a huge selection of organic, dairy, nut & gluten free products to choose from. The first time I went, my kids and I were there for 1 1/2 hrs and we spent $200. We went crazy and bought up so many delicious goodies. Its a really fun store. Our wonderful Trader Joe's is located in the downtown area right where Culver ends into Venice Blvd. You will always run into someone you know there and befriend the sales clerks. It's a great mix of all of Culver City - Sony employees popping in for a lunch to go, singletons with their little baskets, mom's with 2 kids and a shopping cart full of interesting choices that only TJ's can offer and older residents doing their weekly shop. Smart & Final has become my grocery shopping favorite. Located on Venice Boulevard next to Natalee Thai, it is a wonderful place to buy bulk goods as well as terrifically fresh produce being that it is a Smart & Final Extra, so the selection is top notch and varied. The prices of the large items are the same price as Costco, and you don't have to deal with the horrendous Costco parking lot! They have a huge wine and beer selection as well as a great seasonal department, such as unusual but fun summer beach and barbeque items. It truly is one stop shopping with superb prices. Posted on June 7, 2013 by Douglas Hunter. An area I’ve coveted for years in Culver City as needing to be shown off, is planning an “upscale retail concept.” In other words, hello fabulous coffee shops! It’s going to be called “The Platform.” Tres chic. The old Hyundai dealership and brightly mural covered buildings on Washington between Exposition & Landmark are apparently getting replaced by a beautiful open air pedestrian and shopping experience. 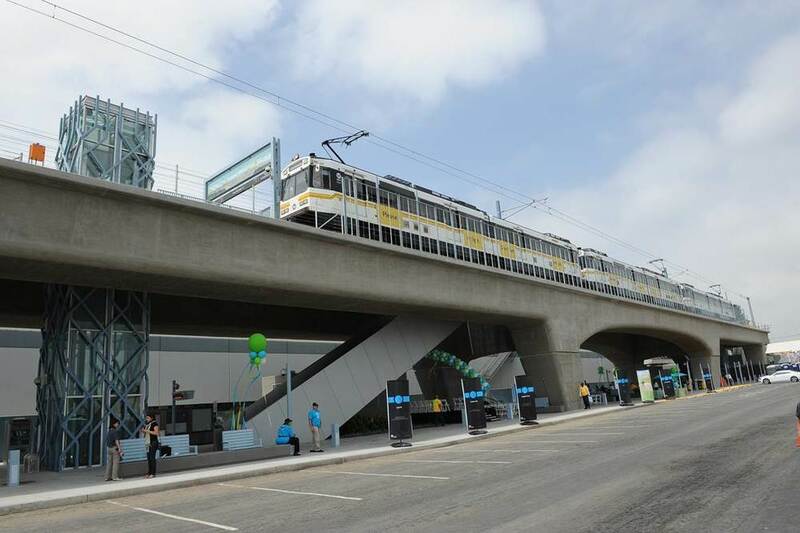 Close to the expo line, close to downtown Culver City, Traders Joe’s and Culver Studios is in walking distance. It should have about 20 interesting restaurants and stores scattered between groovy seating areas, trees and mini lawns. They are comparing it to the “Space 15Twenty in Hollywood.” That place is very cool but I’m hoping that our space will be more spread out with a relaxed vibe full of unique shopping and eats. I hear there’s gonna be at least one flagship retail store which will take up a 20,000 square foot space - Anthropology suits me just fine!! It would be cool if they put modern lofts in there too. This really bodes well for East Culver City’s Higuera/Helms/Wesley area. As well as all the Turning Point, Willows & Echo Horizon School folks. Hello coffee morning!! Apparently it’ll be open in September 2013. Culver City just keeps gettin’ better and better. Posted on May 20, 2013 by Douglas Hunter.